Gobbledygeek episode 292, “The X-Files: Season 3 (feat. Wesley Mead),” is available for listening or download right here and on iTunes here. 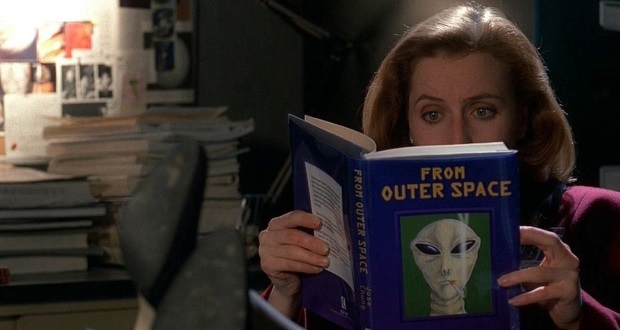 The truth is out there: season 3 of The X-Files is the show’s strongest season. That is, if you can trust Paul, Arlo, and the inimitable Wesley “Wezzo” Mead as they have another of their periodic discussions of Chris Carter’s ’90s masterwork. What makes season 3 work so well? It might have something to do with the series’ expanded tonal range–a tense thriller in “Pusher,” Satanic panic meets Heathers in “Syzygy”–and the confidence with which it tackles both the monster-of-the-week hours and the increasingly complex (or is that convoluted?) mytharc installments. Then there are the Darin Morgan episodes (“Clyde Bruckman’s Final Repose,” “War of the Coprophages,” and “Jose Chung’s From Outer Space”), which are something else entirely. Plus, holy cow, UK politics have gotten super depressing since the last time Wezzo stopped by. Next: Paul and Arlo return to Boneville, site of last year’s Four-Color Flashback, for a look at the newly published Bone: Coda. This entry was posted in Shameless Self-Promotion and tagged brexit, britain, chris carter, darin morgan, david duchovny, england, gillian anderson, gobbledygeek, itunes, libsyn, podcast, politics, sci-fi, science fiction, television, the x-files, tv, uk, uk politics, united kingdom, wesley mead. Bookmark the permalink.